If you’re a T-Mobile subscriber or don’t care about LTE, the Google Nexus 4 is one of the best phones out there, and costs only $300 unlocked. We expect a lot from Google’s Nexus line of phones. 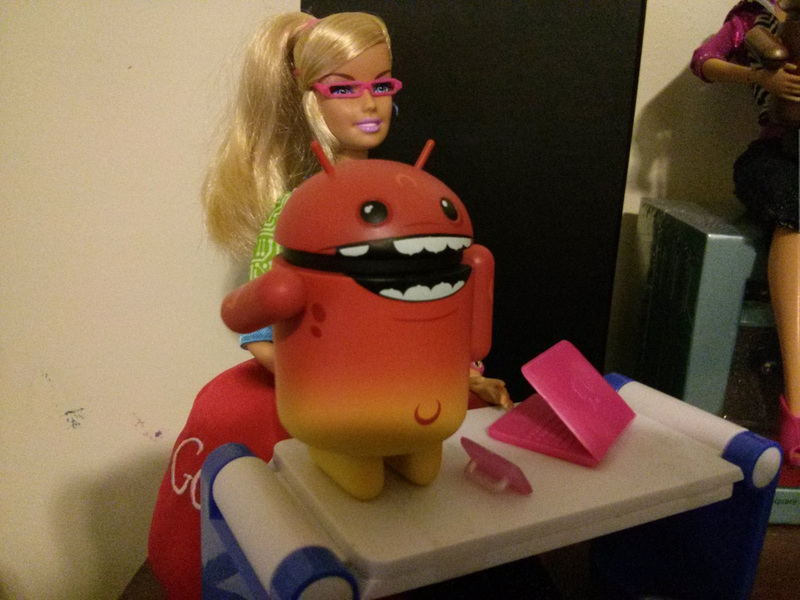 They represent the pinnacle of the Android experience, and Google releases them just as a new version of the OS becomes available. A Nexus phone should be the phone to judge all others by and a guiding star for Android handset makers. On many fronts, the Nexus 4 upholds that legacy. It bears a quad-core processor, top-level display technology, and a feature-rich operating system. It improves on some aspects of past Nexus handsets (hello better camera) and keeps the elements that worked well. The fact that Google is selling the phone unlocked for just $300 is icing on the cake. But don’t get overly excited. The Nexus 4 lacks LTE connectivity, so it won’t be a great fit if you’re on AT&T. But for a phone with so many other virtues, will this matter to everyone? After all, T-Mobile loves the Nexus 4. Despite the fact that the Nexus 4 is made by LG and not Samsung, Google’s newest phone looks quite a bit like its predecessor, the Galaxy Nexus. The two phones share nearly identical dimensions, weight, and screen sizes. 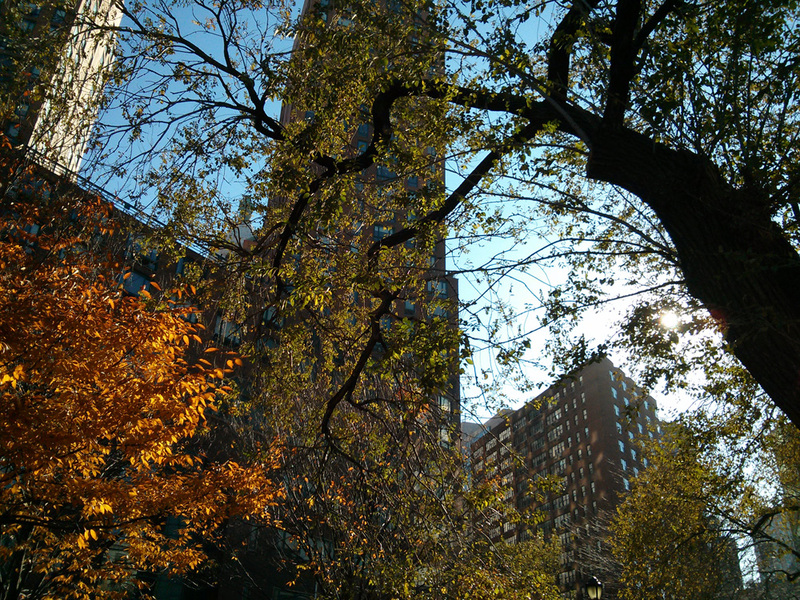 The Nexus 4 does have some distinctive elements. Most prominent among them are the curved glass front and full glass back. 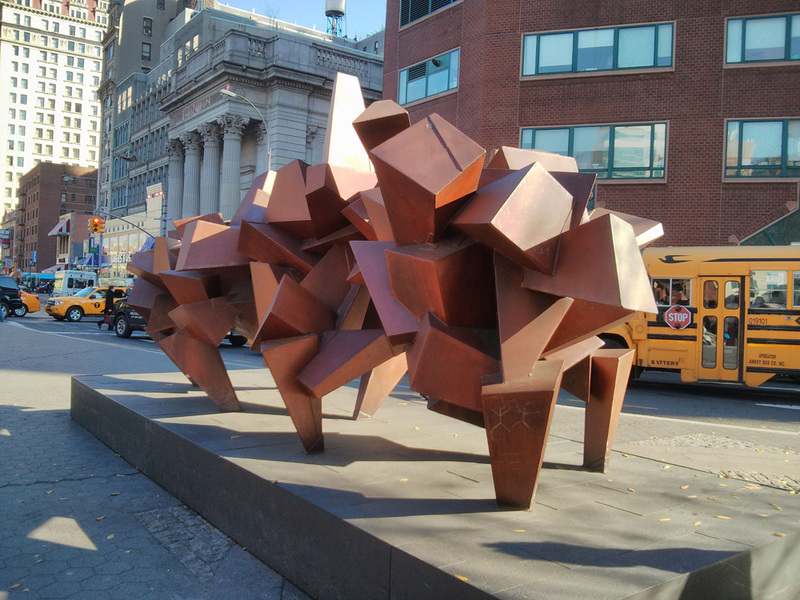 A design like this carries some risks. Glass-backed phones look nice but can shatter when dropped. Corning’s Gorilla Glass 2 protects both the front and the back, but even that tough material can crack or shatter under the right circumstances. Despite these issues, the glass back is very attractive and we like the holographic pattern of squares just under the surface, and how this decoration changes depending on the angle. It’s a nice touch that distinguishes the Nexus 4 from the Galaxy Nexus. We also quite like the curved glass front over the 4.7-inch display. You can actually feel the curve at the edges, especially when swiping from the left or right edge of the screen. That small touch makes a big difference, as it’s now actively more comfortable to do one of the most oft-repeated gestures on a smartphone. A soft-touch band wraps around the device and makes for a comfortable (non-slip) grip. The flat edges helped us find the buttons by feel. The volume rocker on the left is slightly lower on the device than the power button on the right, and we didn’t accidentally hit one while trying to press the other. Like the previous model, the Micro USB port is located on the bottom and the headphone jack is on the top. A flush camera lens sits on the back, along with a narrow speaker. You’ll need a special tool to pop open the SIM card door on the left side, but most people will only need to do so once or twice. Thanks to its 139g weight, the Nexus 4 feels solid, but not heavy. It’s also a nice, thin 9.1mm thick. Unfortunately, this slimness comes at the expense of a removable battery. This one is sealed-in, just like the Droid Razr HD and the iPhone 5. 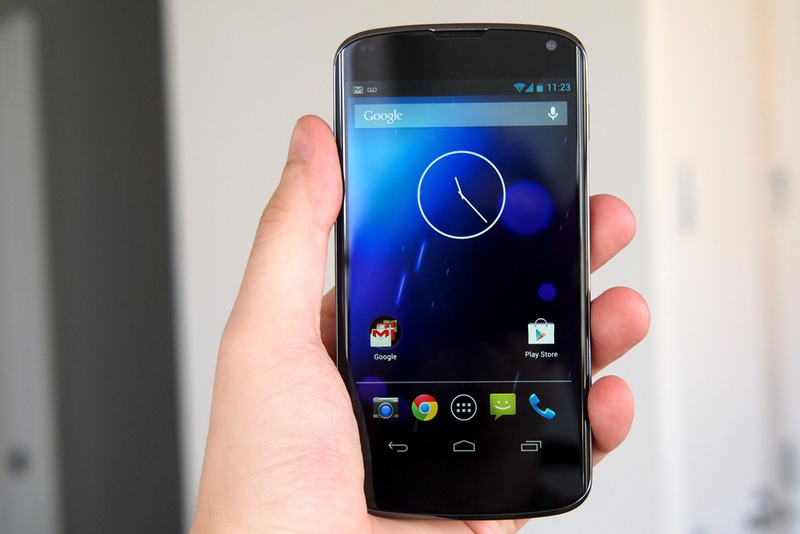 The 4.7-inch, 1280 x 768 pixel screen (320 ppi) is among the Nexus 4’s best features. The True HD IPS Plus screen is a step up from the Galaxy Nexus (which utilizes Super AMOLED technology). It’s brighter overall and crisper –this makes for better reading, in particular – though blacks aren’t as deep. The colors don’t pop as much as they do on the HTC One X or the iPhone 5, a difference only noticeable when the phones are side-by-side. 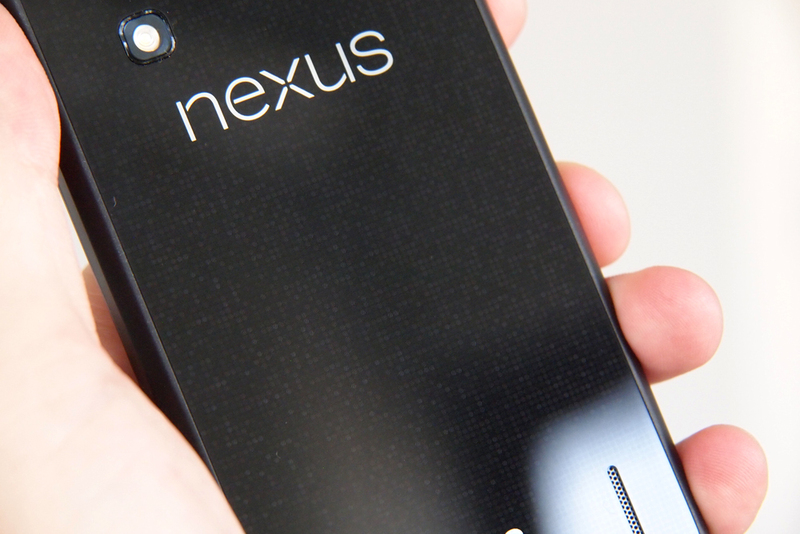 We’ve come to expect wide viewing angles from IPS displays and the Nexus 4 is no exception. Out in the sun, we were able to see the display clearly with brightness as low as 40 percent. With most phones you have to turn brightness almost all the way up for this level of visibility, which affects battery life. Bottom line, this is one of the best displays on any currently available smartphone. 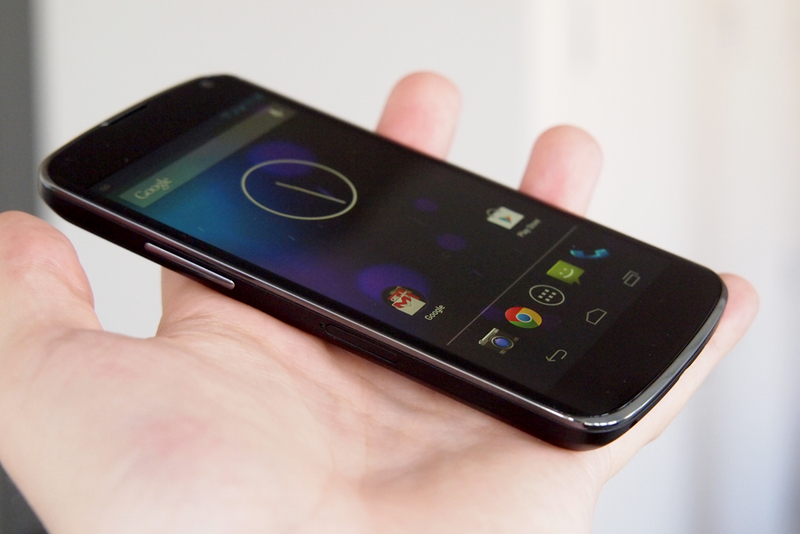 The Nexus 4 marks the debut of Android 4.2 on phones. Still codenamed Jelly Bean, this upgrade is technically incremental, but does add a few welcome features. Fans of “stock” Android will appreciate these little extras, which, until recently, have only come to the OS via manufacturer specific skins. We’re big fans of the new functionality for the lock screen. It’s now possible to add native widgets to this screen and there are multiple panels, so you can swipe to see your latest emails, upcoming appointments, and text messages without unlocking the phone. There’s still a quick launch for the camera app, too. 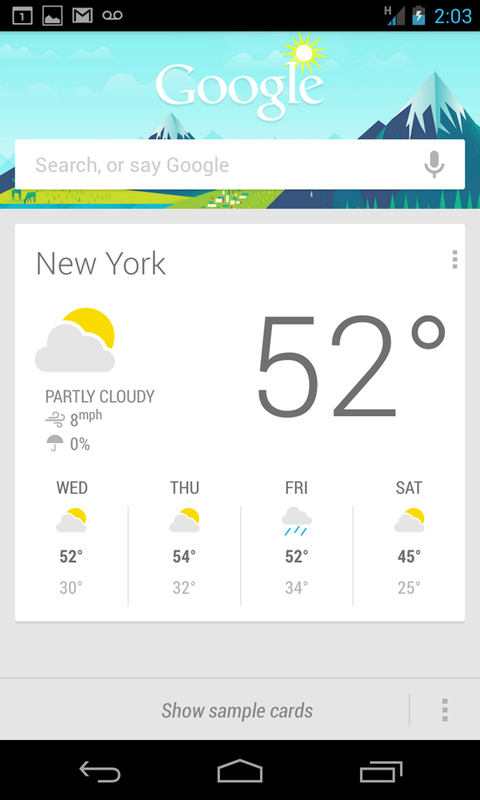 Swipe up from the bottom of the screen to launch Google Now. True to form, Google allows users to add several different screens (we created six), which may defeat the purpose of a quick and convenient glance at important data, but better to have too many than too few. The souped-up Notifications drawer gets a new addition: the Quick Settings menu. This idea is clearly a nod to Android skins like TouchWiz and HTC Sense that offer quick access to radio toggles, and important settings (brightness) or information (battery life). It’s also similar to the quick settings menu on the new Droid Razr line. For the sake of convenience, we would rather this menu offer one-touch toggle for Wi-Fi, GPS, and Bluetooth instead of just a shortcut to the settings. It’s faster than going to the full Settings menu, but still requires more effort than is necessary in most instances. 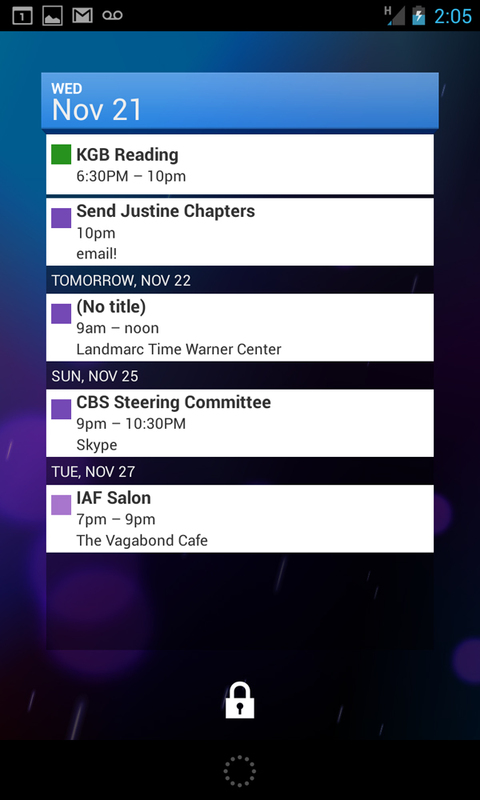 On Android phones, this menu is accessible from the Notifications drawer or by using two fingers to swipe down instead of one. Google Now, the creepy yet useful service that serves up information as if it’s psychic, is set to get even more specific and offer more cards. If you give it permission, Google Now will delve into your Gmail account and pull out information such as travel plans, expected packages, event bookings, etc. If you feel like Google already knows too much about you, this may freak you out. Thus far, Google Now has shown a remarkable prescience that adds to its convenience … and its creepiness. Voice Search is also much improved and includes a new list of commands for opening apps and other goodies. On the recognition side, it’s comparable to Apple’s Siri. And there’s even an option for keeping the recognition engine on the device itself for offline use. The stock keyboard now supports gesture typing or swipe-to-type. This typing method, first popularized on Android by the Swype keyboard, is great for one-handed use and many people find it increases their speed. The element Google adds that make this stand out from Swype is predictive text. 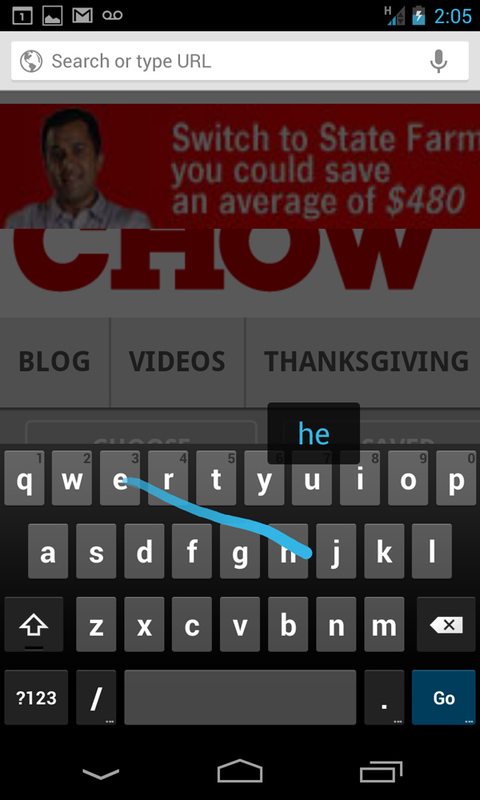 As you swipe across keys, a pop-up appears with the word the Nexus 4 thinks you’re spelling. If the word is the one you want, just stop swiping and it will automatically insert. We found this feature accurate and fast. A few other quick mentions: the Gmail app now features pinch-to-zoom and triple tap to zoom plus pan and scan. The app also formats emails to fit your screen. 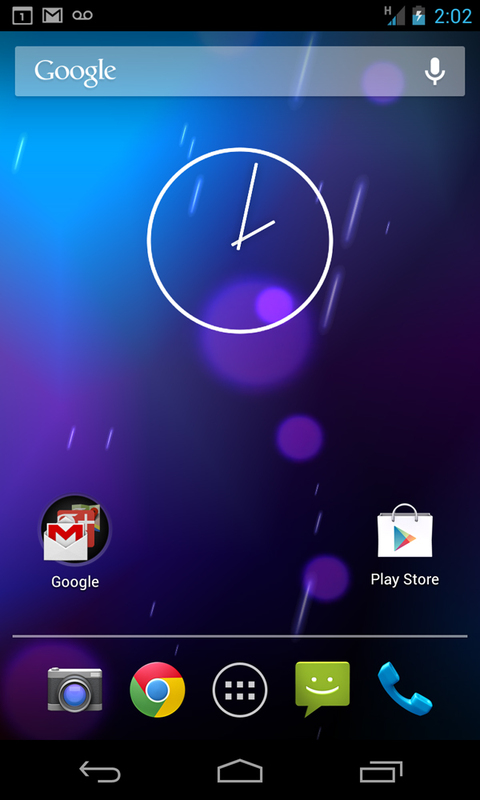 This version also introduces Daydreams, a screensaver for Android. The Nexus 4 runs on a 1.5Ghz Qualcomm Snapdragon S4 Pro quad-core processor backed by 2GB of RAM. It’s available with 8GB or 16GB of internal memory, yet there’s no microSD card slot to expand this relatively small amount of space. We found the phone a snappy and smooth performer, even when playing graphics intensive games. The main problem we encountered is that the back of the Nexus gets noticeably hot when performance ramps up, such as during gameplay or watching videos. 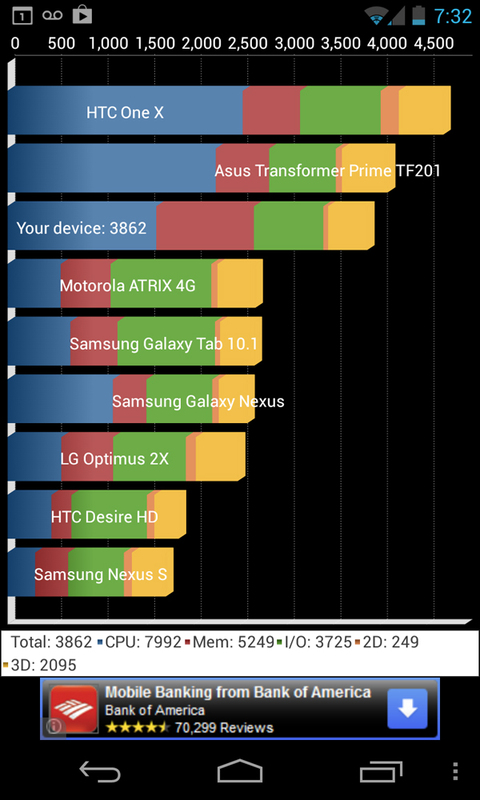 Though we experienced fast and robust performance, the benchmark scores for the Nexus 4 are oddly low. It averaged about 4,900 on the Quadrant test, which is below the Galaxy S3’s average of around 5,000. That phone has a dual-core processor. The LG Optimus G, which has the same processor as the Nexus 4, averaged 6,200. The quad-core Galaxy Note 2 averaged around 6,000. We’re not sure why the benchmarks don’t match up with our experience, but don’t let this put you off. The Nexus 4 is definitely a speedy phone. In addition to a/b/g/n Wi-Fi, the phone also includes Bluetooth, NFC, and GPS. Sensor-wise there’s an accelerometer, gyroscope, barometer, compass, and ambient light. The Nexus 4 also supports wireless charging (using the Qi standard, same as the Noki Lumia line). The Micro USB port on the bottom is also capable of video out utilizing the SlimPort protocol. This is different from most Android devices and previous Nexus phones, which supported MHL. SlimPort requires a special adapter but offers some benefits, including connectivity to both HDMI and VGA plus charging while connected. Right now, SlimPort adapters are few in number and expensive. For wireless connections to displays, Android 4.2 supports Miracast, a new standard that has wide support already. To use it, you’ll need a Miracast certified device. If you already have a display that works with Intel’s WiDi, it will work with the Nexus 4 as well. Google is selling the Nexus 4 directly to consumers unlocked, meaning you aren’t stuck with one carrier for two years, but you can also pick up the phone from T-Mobile. Global travelers will be able to pop in a SIM card and use a local carrier instead of paying high global roaming fees. This freedom comes at a price. First, you have to pick a GSM carrier, and in the U. S. that means T-Mobile or AT&T. Second, there’s no LTE radio on board, so you’re stuck with HSPA+ for high-speed transfers. This omission is a deal breaker for many, especially people already used to LTE speeds. Our review unit came with T-Mobile service, and speeds averaged 5 – 6 Mbps down and under 1 Mbps up in New York City where LTE phones regularly see 18 – 25 Mbps down. Existing T-Mobile customers and those who don’t live in a city probabn’t won’t notice a difference. The Nexus 4 battery lasted more than 12 hours in our hands-on testing, which included medium to heavy usage – several accounts pulling down data, web browsing, watching video, taking calls, and playing games. At the end of the day, the battery dropped to under 10 percent under these conditions, so it’s no Droid Razr Maxx, but it can hold a charge. The 8MP camera on the rear is an improvement over the one on the Galaxy Nexus. While not as advanced as shooters on HTC phones or the Nokia Lumia 920, it’s above mid range for Android smartphones. Pictures are vivid and, on small screens, pretty crisp. Looking at the full size photos on a computer reveals some noise and a loss of detail. What you get is good enough for sharing via social networks. 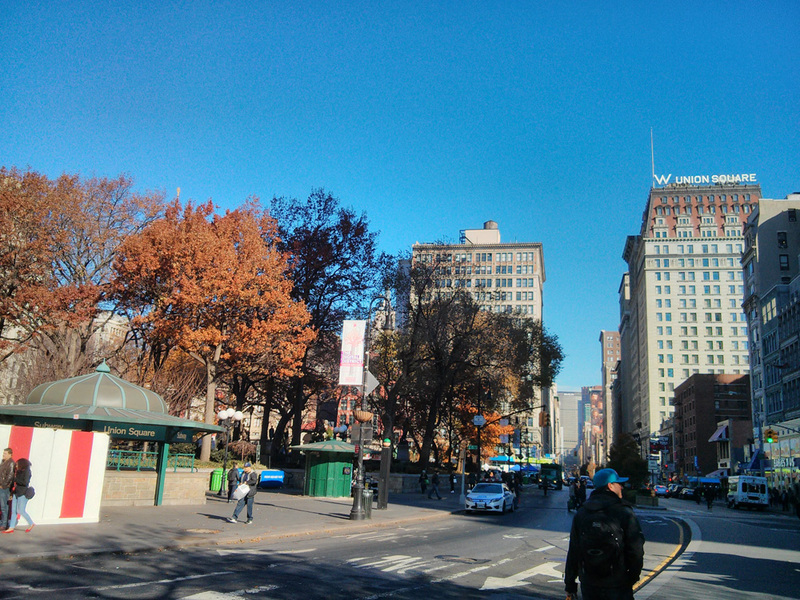 Google made some big improvements to the stock camera app that we definitely approve of. The small group of settings now includes HDR alongside white balance, exposure control, and a small list of pre-set scenes plus panorama and Photo Sphere pictures. Most options are arranged in a circle, and you can access it by tapping anywhere on the screen. This is very convenient for quickly switching modes, which can be done with the thumb without having to move it too far from the shutter. Tap to focus still works, it just takes some practice to avoid opening the settings circle, instead. Panorama and Photo Sphere are located under the same menu where you switch between still camera and video. 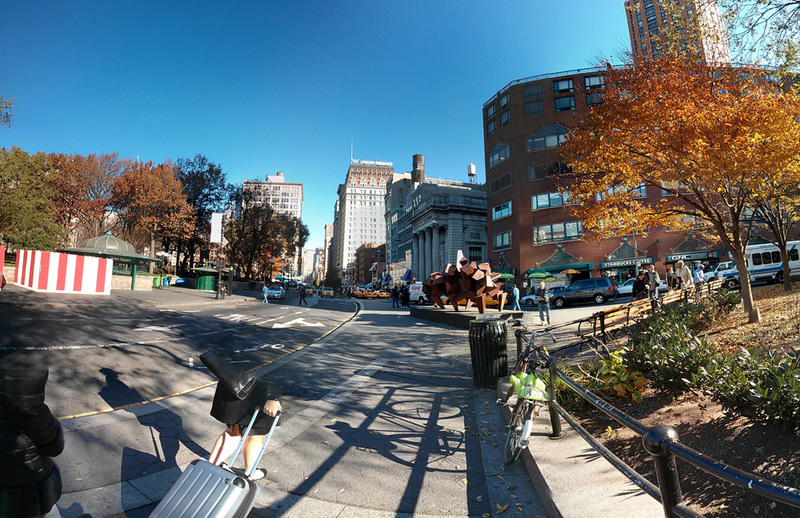 Photo Sphere is another neat addition to the camera app. Think of it as panorama on steroids. It allows you to take multiple pictures and stitch them together, but instead of limiting it to one horizontal plane, you can take pictures above and below your starting point. The result is an image that looks a bit curved and accurately captures a person’s viewpoint … sometimes, at least. Callers reported good quality coming from our end, even in semi-noisy environments. 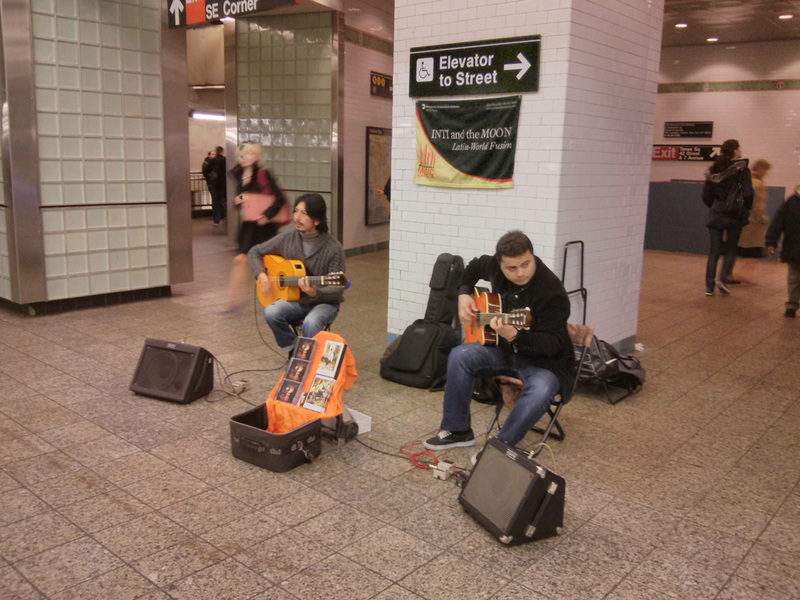 Their voices came through clear and crisp via the earpiece and over Bluetooth using the Plantrionics Voyager Legend. The speaker on the back is flush with the glass, so it’s easily muffled when sitting screen up. The volume isn’t very loud and, as usual, sounds tinny. If you’re a T-Mobile subscriber or don’t care about LTE, the Google Nexus 4 is one of the best phones out there, and costs only $300 unlocked. There is a T-Mobile subsidized version available for $150, but that discount comes with a two-year contract attached. Freedom from contracts coupled with a pure version of Android 4.2 and the promise of speedy updates make the Nexus 4 a very attractive phone. Though the glass back worries us, the overall design is attractive and comfortable. With speedy performance, long battery life, decent specs, an improved camera, and all the benefits of Jelly Bean, there’s a lot to like about this phone. But if you’re not planning to use the Nexus 4 on T-Mobile, the lack of 4G LTE may be a deal breaker. So which aspect is more important to you? The freedom of a $300 unlocked device or the fast speeds of LTE? How you answer will probably determine whether you choose the Nexus 4 or not.